Zacchaeus was rich. He had plenty of money. He lived in a beautiful home. He had fine clothes to wear and the best food to eat. But Zacchaeus did not have many friends. Few of his own people even liked him. When he went out on the streets some of the people did not want to speak to him. 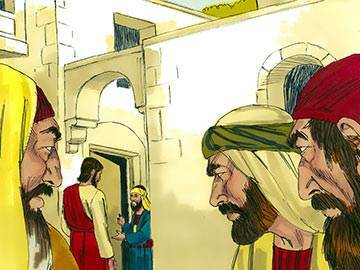 The reason for this was that Zacchaeus had not been a good friend himself. 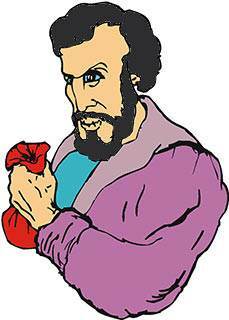 His work was to collect money for taxes from the people. But often Zacchaeus cheated. He made the people give him more than they were supposed to pay. Then he kept some for himself. That was why so many people did not like him. 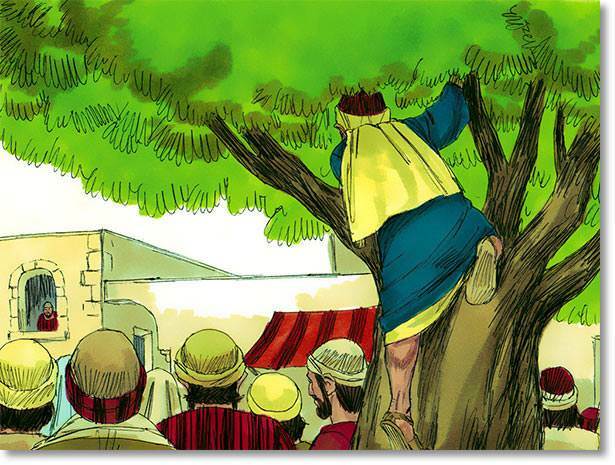 One day Zacchaeus heard that Jesus was coming to his town. 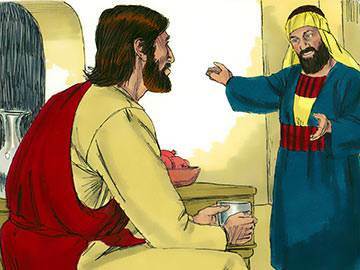 Zacchaeus wanted to see Jesus. He went out to the street. But the street was crowded with people. 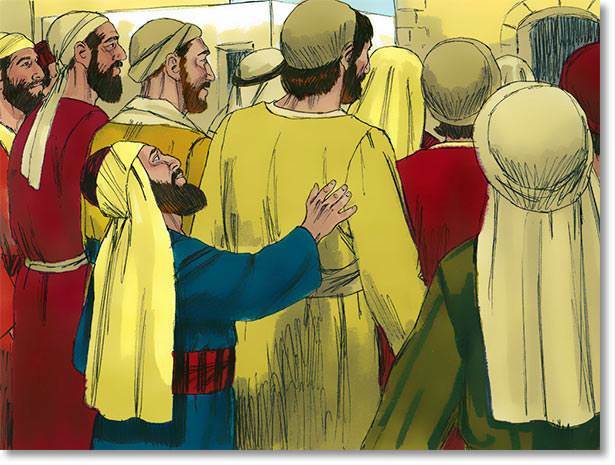 Zacchaeus could not see over their heads because he was a short man. Quickly he climbed a tree by the street. He could see Jesus from there. The people began to shout. 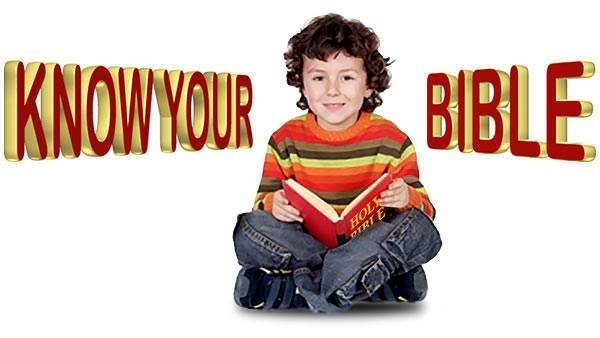 Jesus was coming. Now Zacchaeus was up high in the tree. He leaned over to see. Just then Jesus looked up and smiled. 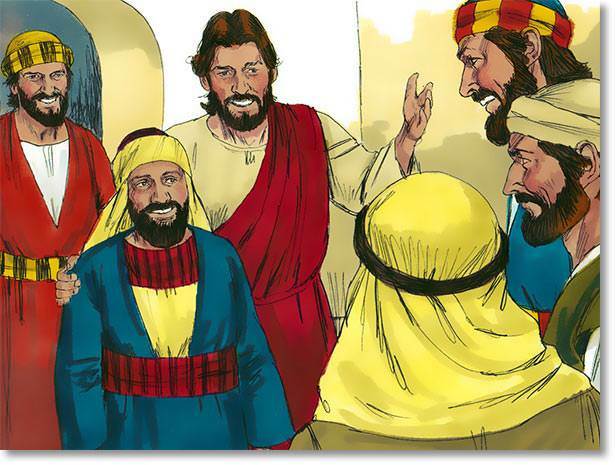 Zacchaeus could hardly believe it. He had a friend at last. And the friend was Jesus. Quickly he came down from the tree and led Jesus to his home. Zacchaeus was thinking too. 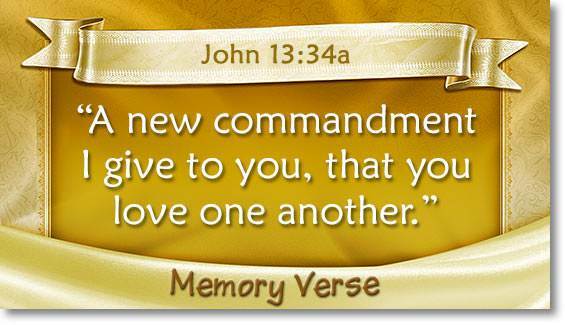 Jesus loved people. He was kind and helpful. 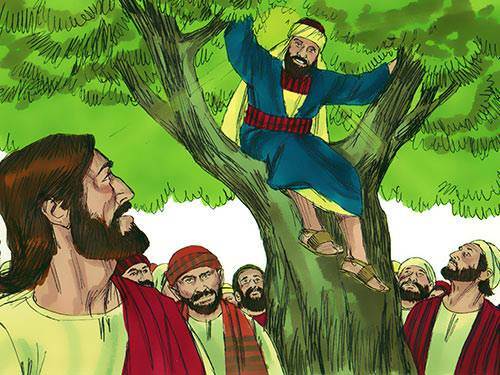 Zacchaeus wanted to be like Jesus. How glad Jesus was. Instead of a man nobody liked, here was a fine generous friend. “Today is a happy day for this house,” said Jesus.